It was 2008 when Abbas published her first short story collection, Adam Hates the Television, which was awarded a prize for young writers during the Damascus Capital of Arab Culture festival. In 2014 she contributed, both as a writer and as a translator, to Syria Speaks: Art and Culture from the Frontline, and she has since participated in a number of residencies and festivals, including a Jean-Jacques Rousseau Fellowship. This story originally ran on the Shubbak Festival blog and appears here with permission, in celebration of Women in Translation Month (#WITMonth). 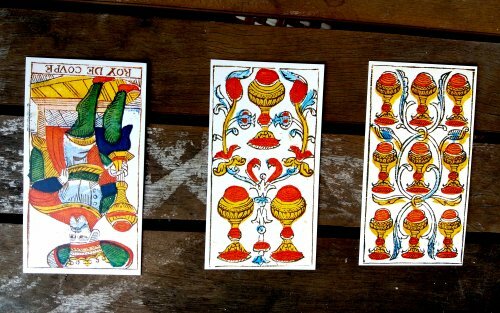 I shuffle the deck of tarot cards and deal three of them onto the table. The first one has a drawing of the Nine of Cups, reversed. Not reassuring. The second has a drawing of the Three of Cups, reversed. Not the best card either. The third is the King of Cups. They say the King of Cups excels at concealing his feelings. I find it difficult to explain to people why I’m as interested in studying these cards as I am in the timeline for the novel I’m working on. It’s set in the United Arab Republic period. There are lots of Arab shops on the next street over. I wait for my food at a Lebanese pastry shop. “We’re not here to fight about politics, we want to see your cheery face and eat your good food,” a customer says to the shop owner. 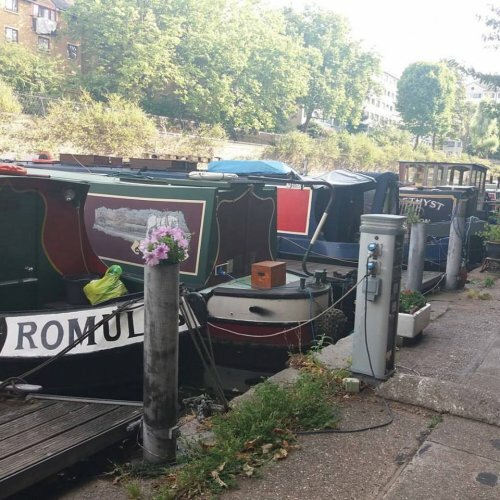 I go back to the boat I’m living on while in London, and scroll through an album of images I’ve collected, examining faces of people from that era, with a cold heart and no judgment. I just want to touch the missing storylines of a relative of mine who lived through that period. I try to guess, staring into a photograph of one of his contemporaries, who was a killer and who was an ally. Soon a photo will appear emerge of one of the men responsible for the reign of terror in the country. Typical, classic features of a military killer from the fifties. That smile, those frightening good looks. I try to take a break from the theoretical part of my research on Arab identity and the history of nationalist ideology. In a little garden, two women are sitting on either end of a semicircle bench. I invite myself to sit between them. I listen to part of their conversation. Download and read Alice Guthrie’s translation of an extract from The Gist of It here on PEN Samples, as well as Guthrie’s reader’s report on the collection here. Read a piece Rasha Abbas wrote for PEN Atlas, in which she reflects on her contribution to Syria Speaks.